There are 10 monthly meetings held on the third Thursday of the month (except July and December) at Haller Lake Community Club. A half-hour educational pre-meeting starts at 7 which is followed by a short business meeting. There is a Fly Table where members may buy 2 flies for $1 each or donate 2 flies and receive a free fly. There is also a raffle and refreshments are available. An evening speaker program begins around 8 and members are on their way home by 9. The annual NFA Picnic is held on the third Thursday in July instead of the monthly meeting. This outing is a well-attended event where there are lots of activities for all members of the family and their friends. The club provides grilled entrees and drinks. Members bring potluck items such as appetizers, salads, side dishes, and desserts. Besides eating and socializing there are organized games for the children and a casting competition. In December we have our annual Holiday Party and Auction instead of a monthly meeting. This event is a catered banquet and fundraiser consisting of many fine raffle and auction items. The banquet meal is followed by an awards ceremony which includes the club's Service Award, Award of Merit, the Memorial Award for Conservation, and the prestigious Dawn Holbrook Memorial Award. There is also a video showing fishing-related highlights of the past year. The club schedules over a dozen fishing adventures during the year. Besides fishing, these outings also provide opportunities for socializing, mentoring, and a bit of conservation activity. These outings have been held on northwest lakes, rivers, Alaska, British Columbia and on Puget Sound. Conservation outings are a great way to get outdoors, get some exercise, and make a difference in preserving and improving the environment so vital to the health of fly fishing. These are great activities for members and their families. 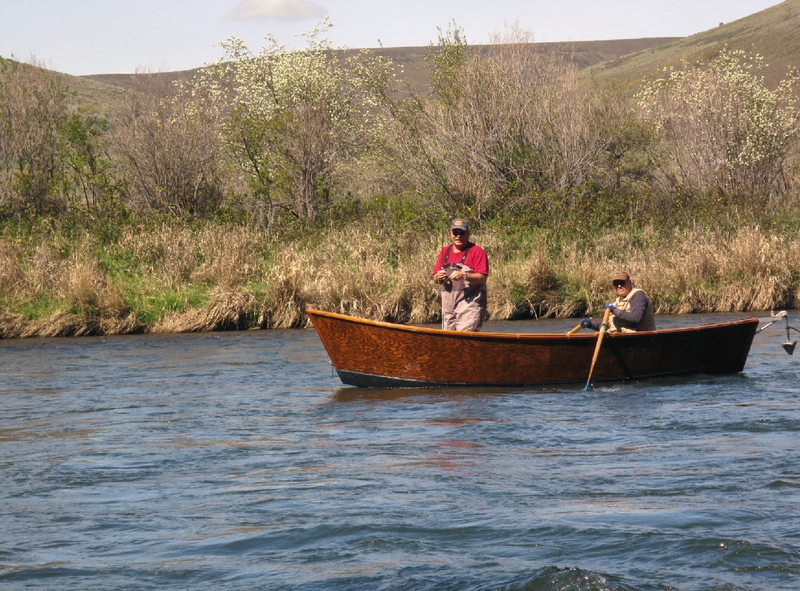 Each year the NFA donates two kids scholarships to the Northwest Conservation and Fly Fishing Academy and awards the NFA Memorial Conservation Award (currently $500) to an organization doing conservation work that impacts fisheries. We provide classes for members and the general public. 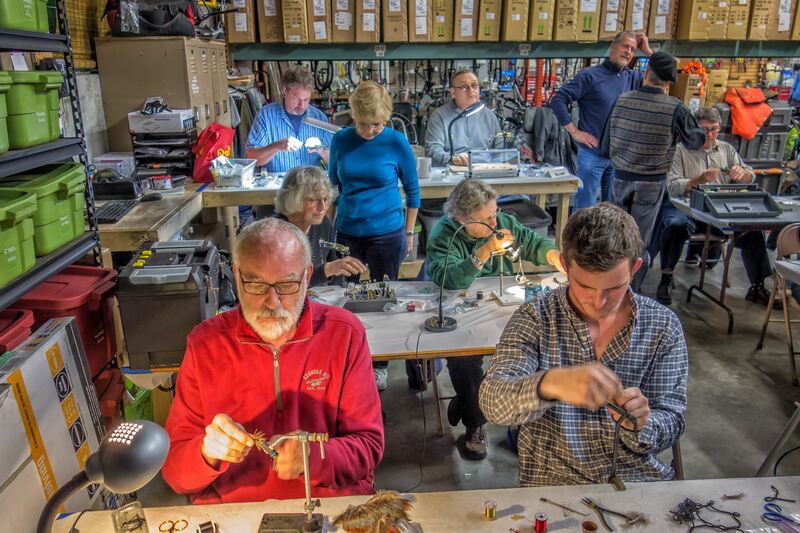 The classes include fly casting and fly tying. The NFA Library contains books, magazines and videos of interest to both the beginner and seasoned angler. The collection is available to members at every monthly meeting; its contents can be viewed on line either by title or by images of front covers. Every month the NFA published its newsletter, The Flypaper, which keeps members informed about past, current, and future club events. The publication is emailed to each member and is available on line. The NFA is a member of the International Federation of Fly Fishers (IFFF). Every year the club donates to the fund-raising raffle at IFFF’s National Conclave. Club members volunteer to help out at the annual Ellensburg Fly Fishing Fair put on by the Washington State Council of the IFFF. Please submit questions about the club to NFA. To join the club please go here.